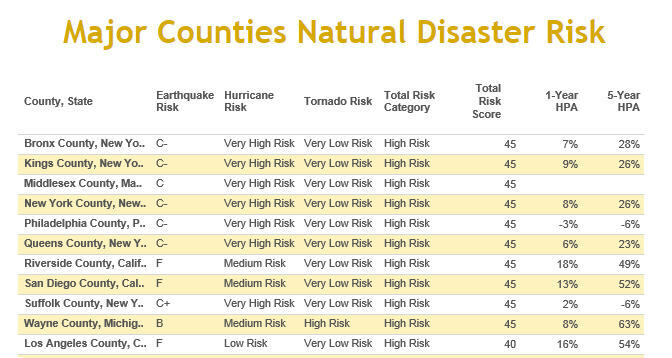 “The higher median home prices in many counties with a high risk for natural disaster indicates that other location-based factors such as weather and access to jobs override concerns about home damage as a result of earthquakes, tornados and hurricanes,” Blomquist added. This entry was posted in Real Estate and tagged disaster areas, risk. Bookmark the permalink.